Want to fly a large scale warbird? Does it have to be fully composite, and professionally painted? Like the idea of having the air operated retracts pre-installed, as well as the gear doors, which have the operating air rams pre-fitted? 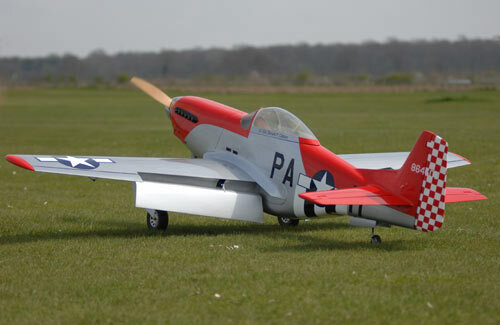 Hate hinging control surfaces, so prefer these to be pre-hinged - well we're pleased to be able to offer a brand new P-51D Mustang that fulfils all these needs and more. 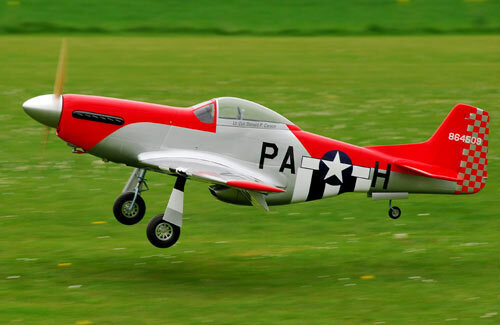 With a massive 99" (2515mm) wingspan and designed to suit 85cc petrol engines the new Flying Legends P-51 is fully moulded from advanced composites, using epoxy/glass and carbon for the ultimate in strength combined with minimum weight. 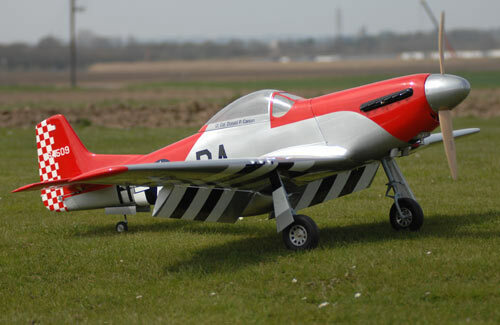 To enable easy completion and the perfect finished model optional accessories are also available, comprising a machined from solid aluminium spinner to a fully detailed scale cockpit kit. Assembly is quick, just radio, engine and ancillaries to install. 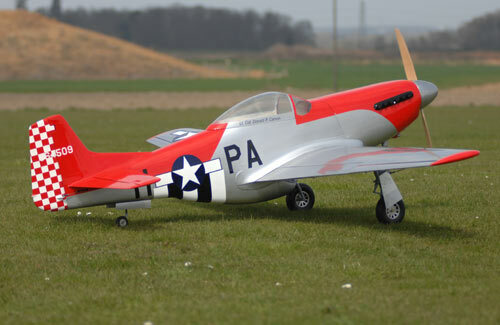 Although it is possible to fit a range of engines the P-51 has been developed around the DA85 and BH85cc engines, both of which provide ample power to fly the Mustang superbly. 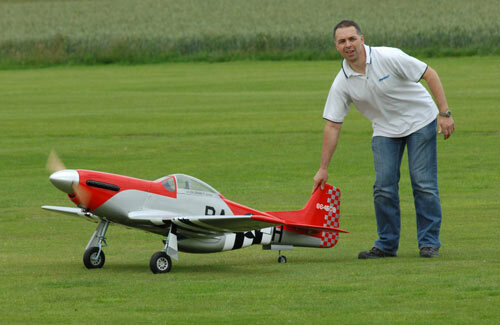 Talking of flying characteristics, you will be amazed by just how well this model flies - we were! Take-off is simple, flying performance truly excellent, slow speed handling with the built-in washout is extremely benign, whilst the landing approach really could not be easier, the Mustang being exceptionally stable and predictable on finals with gear and flaps down. 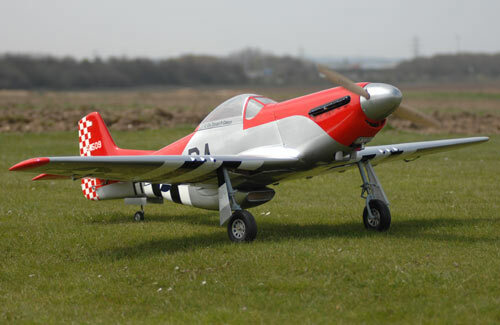 Aerobatics are a joy to perform, the large size and relatively low weight make for a smooth yet manoeuvrable model, and the appearance in the air is fantastic - don't miss out, buy and fly one, you'll be glad you did! This version of the airframe come supplied with the gear doors fitted and air rams installed but without retracts. This version is supplied with pre-installed air up/down retracts (main and tail) fitted with scale oleos, and specially produced aluminium main wheels plus tyres and tail wheel, air system ancillaries etc.